Today, when you order "Close Up, Up Close Vol. 1-3 by Joshua Jay", you'll instantly be emailed a Penguin Magic gift certificate. You can spend it on anything you like at Penguin, just like cash. Just complete your order as normal, and within seconds you'll get an email with your gift certificate. Close Up, Up Close Vol. 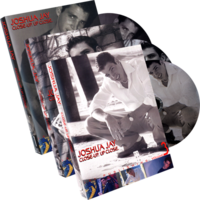 1-3 by Joshua Jay (3 DVD Set) This is the material that made Joshua Jay's reputation. If you loved his Penguin LIVE lecture, this is a collection you shouldn't miss. 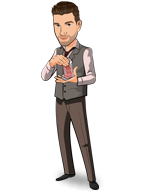 Volume 3 explores Joshua's favorite genre: formal card magic. It's Joshua Jay, a deck of cards, and an astounded audience. The range of effects is equaled only by the range of methods-Joshua uses a clever blend of subtlety, sleight-of-hand, and gaffs for maximum impact. Also included is a detailed study of Triumph, the Bluff Pass, and extra footage of Joshua's gambling exposé, shot in a live theater. Great value at a great price!! Joshua Jay has made a great name for himself in the Magic Community, showing charisma and humor----all the while remaining the world's most humble magician! Very entertaining and a joy to watch!! At the price I paid, Penguin really delivered.